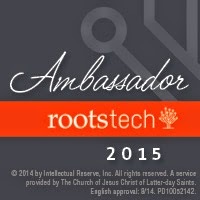 Now that I've booked my flight to Salt Lake City, I can reveal that I have once again been invited to be an Official Blogger at RootsTech 2014 (6th - 8th February), and that I shall also be attending in person. Yes, this year there are a few Official Bloggers who will be blogging remotely. In particular both Thomas MacEntee and Jill Ball had previously committed to participate on Unlock the Past's 4th Genealogy Cruise in Southern Australia in February 2014, when RootsTech announced the February date for RootsTech 2014. So although they are listed as Official Bloggers, they will be not in fact be attending in person. The full list of official bloggers can be found here. 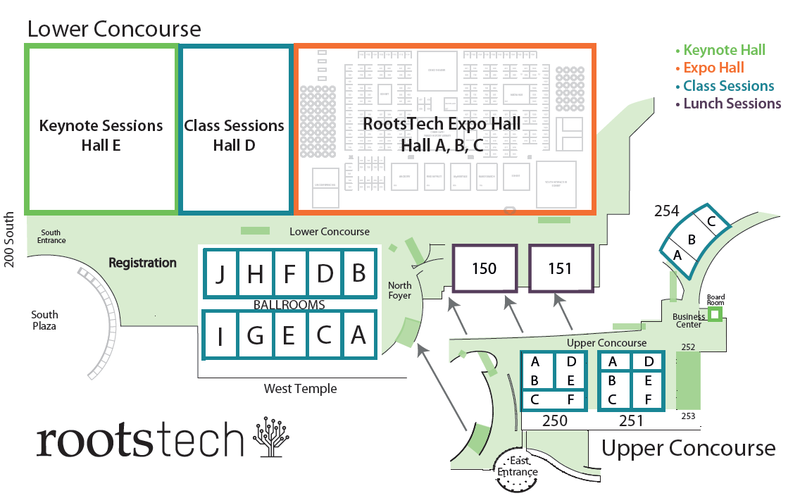 The RootsTech team have recently completely relaunched their website, and to my mind, it is much improved. So if you haven't looked at it recently, you might wish to take another look. You can find it here. Some of us complained that there were not enough sessions for the advanced genealogist, so this year, I believe, there are more sessions marked up as advanced. 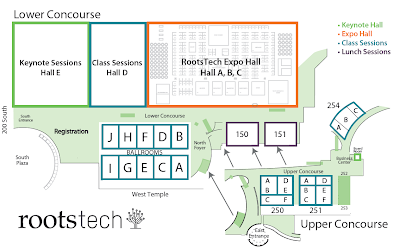 Finally the Schedule Builder is now available on the main RootsTech website, as well as an app for downloading on an iPhone, iPad or Android device. This will, hopefully, enable more people to use this very useful functionality. Another recent announcement is that the Opening Night Social will now be free of charge and those of us who purchased tickets for this event have had our fee refunded. This may also be as a result of the feedback from last year. Anyway, it's great that it's now free! Finally, the latest announcement from RootsTech is the identity of the Opening Keynote speaker, on Thursday 6th February, who is Ree Drummond, an award-winning blogger and New York Times best-selling author. I must admit to not being familiar with Ree Drummond, but I look forward to hearing her speak, as the RootsTech Keynote speakers are usually great value. The full list of Keynote speakers can be found here. I will be blogging regularly in the lead up to RootsTech, as well as during the conference itself, so watch this space for more information in due course. I am so disappointed that I'll be missing the event but with Familysearch making some of the sessions available to the cruise we'll have a mini Rootstech celebration on board.Hope to see you in SLC 2015 if not before in London. I'm sorry that you won't be there this year, Jill. You were so helpful to me last year, as a newcomer. But maybe it's my turn to help out another "newbie" this year. I'm sure you'll all have a great time on the cruise!